. إن حسن الضيافة والخدمات الراقية التي تعرف بها Wyndham Hotels & Resorts تغني تجربتك في Ramada Resort Wanaka. يمكن الاستمتاع بمجموعة من الخدمات على أعلى المستويات في الفندق كمثل متجر, مدفأة, مجهز لذوي الإحتياجات الخاصة, مرافق مخصصة لذوي الاحتياجات الخاصة, تخزين الأمتعة. 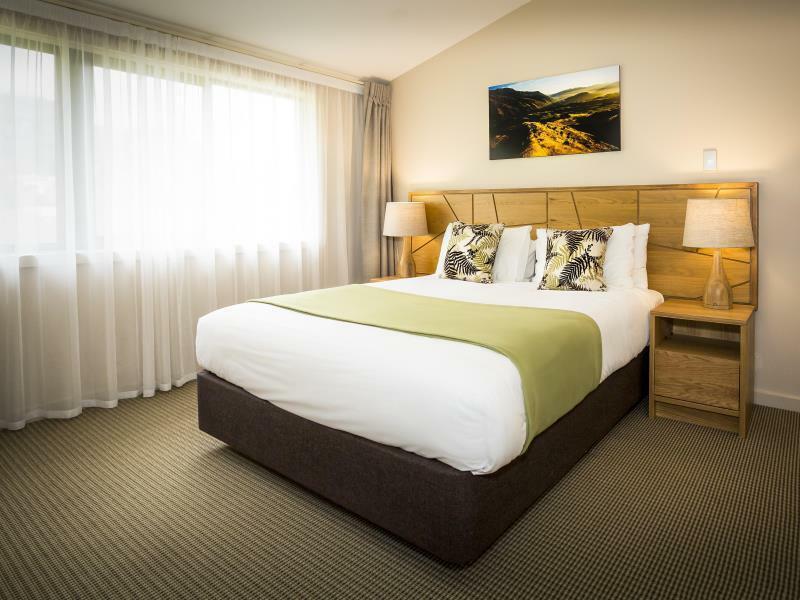 في Ramada Resort Wanaka غرف نوم يزيد عددها عن 68 صممت بذوق وعناية لتوفر لك كل وسائل الراحة . بعضها يحتوي أيضاً على تلفزيون بشاشة مسطحة, سجاد, رف للملابس, قهوة فورية مجانية, شاي مجاني. يقدم الفندق العديد من الفرص للاستجمام كمثل حوض استحمام ساخن, مركز للياقة البدنية, ساونا, مسار جولف - ضمن 3 كم, حمام سباحة خارجي. 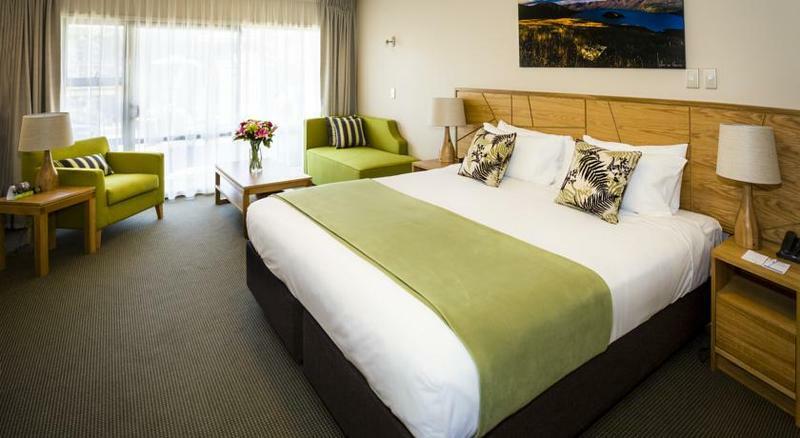 يشكل Ramada Resort Wanaka بخدماته الراقية وموقعه الممتاز، قاعدة مثالية للاستمتاع بإقامتك في المدينة. يتم تقديم خدمة التدبير المنزلي للحجوزات التي تبدأ من 7 ليال فأكثر. يمكن ترتيب طلب خدمة إضافية للتدبير المنزلي بناءً على تكلفة إضافية. تتم عملية التنظيف كل يوم. We can't see the lake from the hotel as it wasn't located near the lake, but it was just a short drive to the lake so it was alright with us. Room was well furnished, we really enjoy the sauna. The staff by the name of Mallory was very nice to us, she recommended a few activities to us and provided us the contacts to rent the ski equipments and registration. We had so much fun at Wanaka. They told me they are serving breakfast until 10am, and I called restaurant at 9:25am to order breakfast, but staff told me that restaurant was now no longer serving breakfast and that restaurant stayed closed until 5pm, so I needed to go elsewhere to get some food. Walls are thin, so can expect some sound from next door, especially when staff makes up room, then it's lots of slamming with doors and much noise. Been told off to not to use water hose for cleaning!! Had a 2 bedroom apartment for four adults. Very nice and well appointed. A bit of a walk into town but not too bad. The only gripe, having to pay for Wifi. This should just be included in room charge. Anywhere in Asia you get free Wifi, why not here in NZ? 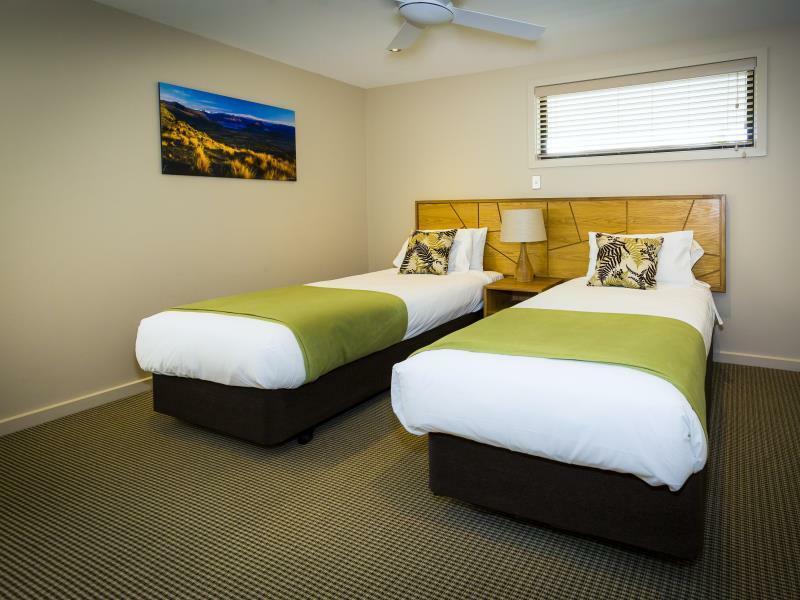 Good location about 1 klm from the centre of Wanaka. Hot Tub brilliant after skiing. Room design and cleanliness excellent. Wasn't real fussed on trying to be signed up to their frequent user program half hour after arrival. The Pools, the Gym and the Location. It was a pleasant and quiet place to stay, in a beautiful part of the world. My only reservation was that there was no airconditioning in the units. There was a desk fan bolted to the waqll but these were far too noisy to run. It was the height of the summer and the temperature at night was very uncomfortable, and you couldn't possibly sleep. Other than that, it was very relaxing. Friendly staffs and the rooms are very clean. Rooms are clean and spacious. The bed is very comfortable. The location is excellent just a short drive into all the major eating spots. Staff are very friendly. Can't beat it for the price! The place was fine. We thought quite pricey. Exhaust fan in the kitchenette was put in reverse, so blew air at high speed all over the place instead of sucking it up. Got some attitude from the lady at checkin when I asked about wifi not being included for the price. Not very understanding. Worse was to come. There is no free wifi!!!!!!! We stay at motel and hotels a lot.I have not had free wifi for years. A newspaper $1.50. Is this for real? We have never been charged for a newspaper ever. Then let's talk about the night with the yobbish people staying there. We were woken at 12.pm by banging on their door. Our balcony overlooked their door The people in the unit then congregated outside their door and proceeded to have an argument with yelling and bad language. This went on for 2 hours.They took no notice of being asked to quieten down or of staff asking them to quieten down. Why weren't these people told to leave? We weren't the only people inconvenienced. Everyone would have heard them. We have never experienced such behaviour when staying in a motel or travel lodge We would never stay at Wyndham again. 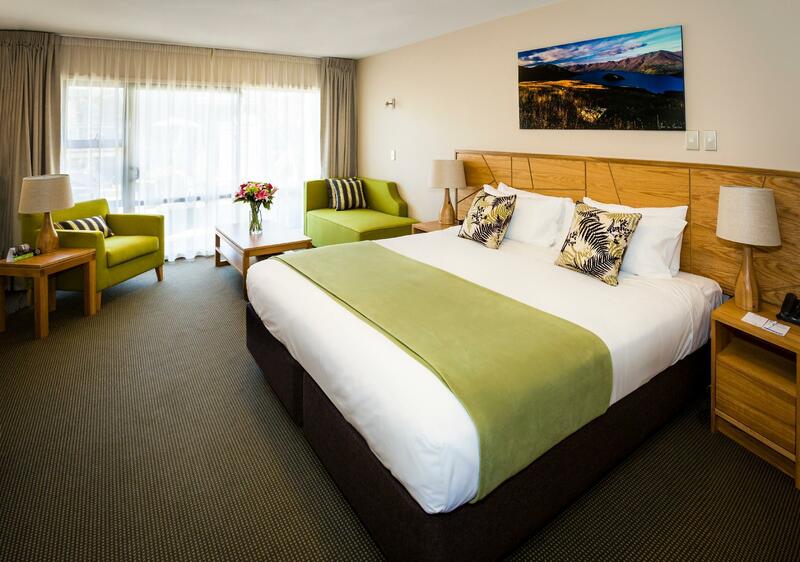 Great hotel in Wanaka, friendly staff, looked like a nice pool (we didn't use it) and good location. Extra charge for internet usage and breakfast, so it is not as good of a deal as other hotels in the area. Decent location with easy on-site parking, and close to town. I checked in, which was an unnecessarily slow process, and went to the studio room we had booked. It absolutely reeked of fresh paint, so I went straight back to reception. Apparently the room had been painted six weeks prior, but obviously hadn't been aired out properly and the smell was still nasty - I feel for whoever has had to stay in these rooms since painting. Luckily we were able to be shifted into a room that hadn't been painted yet, as we certainly could not have stayed there otherwise. The rooms are basic, and quite poorly organised, as the furnishings that are there are pretty useless (apart from the bed) and the spacial layout is utterly illogical. The kitchenette consists of a microwave oven and a milkshake blender. The kettle is too large to fit properly under the tap in the bathroom (there is no sink in the kitchenette), and although all washing-up is expected to be done by guests, there is nowhere sufficient to wash/dry the items provided. The shower leaked, badly, and at one point there was no hot water at all. One roll of toilet paper was supplied, and not replaced, although staff did come into the rooms to take the trash. As that was all they did, we would really have preferred to maintain our privacy and take out the trash ourselves. The bed was comfortable, and the TV had good reception, but they were the only real perks. Also, the exorbitant fees for wifi are unacceptable, when nearly every accommodation now provides wifi free. The room rate we paid was heavily discounted, which is the only reason I can see for staying there again. However, we were unimpressed enough that we would rather pay double to stay elsewhere, next time. Cons: 2.5 km to Wanaka The rest, v good. Rooms big with everything needed. Swimming pool and hot tub. 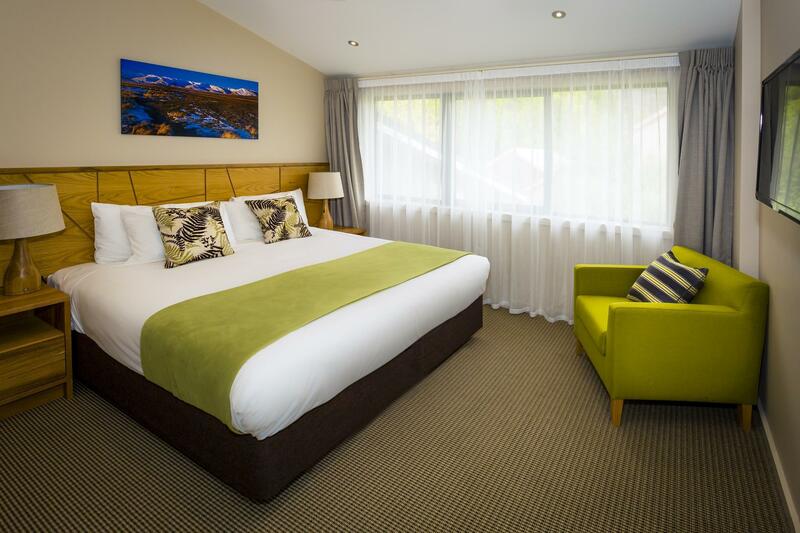 Good sized room, tastefully decorated. Looks like this hotel has been recently updated. Really enjoyed our stay. Lovely hot pool. The rooms spacious, clean and comfortable. Well equipped with all the trimmings. Good stay. Better than photo shown in website.